My first ever Disney Dole Whip was back in 2014 when we took Sofia to Disneyland for her very first time. We waited in the longest line-up of the day, and I wondered if it would really live up to the HYPE after the torturious wait. I mean who waits in a 40 minute line up in the sun for Pineapple Ice Cream? Let’s just say it’s only thing I will line-up for and wait an hour that doesn’t have a past fass in Disneyland. 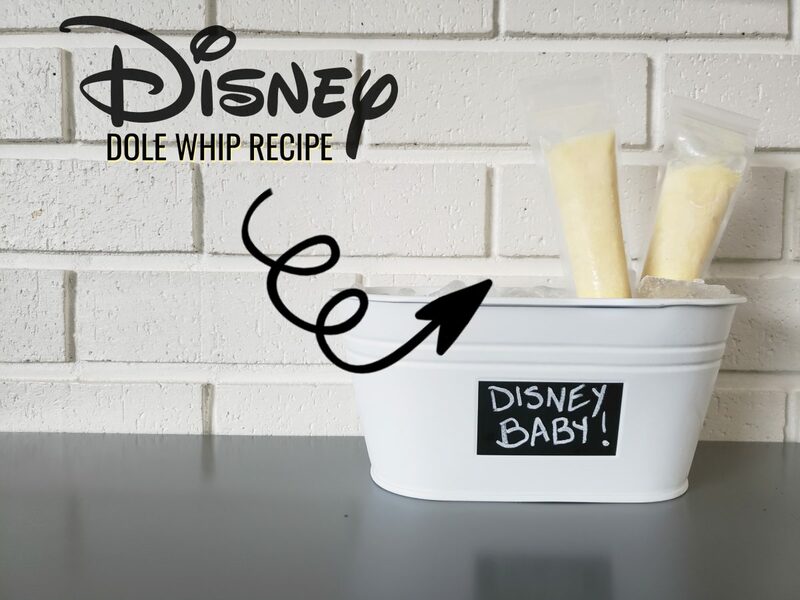 Disney Dole Whip is like nothing you’ve ever tried, nor can I do it justice with explaining is deliciousness. Those who have tried it knows it just magic. 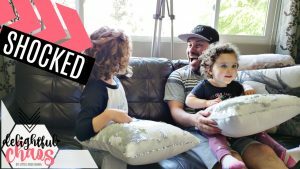 I set out to recreate the cold dessert a few weekends ago when we surprised the girls with our next Disneyland vacation this October. The first recipe I tried, I was convinced would be the winner. The ingredients alone made me salavate. It was incredible and instantly brought me back to the HAPPIEST PLACE ON EARTH… in my mind of course. As no more than 10 minutes later I was clearing away dinner and washing dishes. That happy bubble popped quite quikcly, but while it lasted it sure was magical. 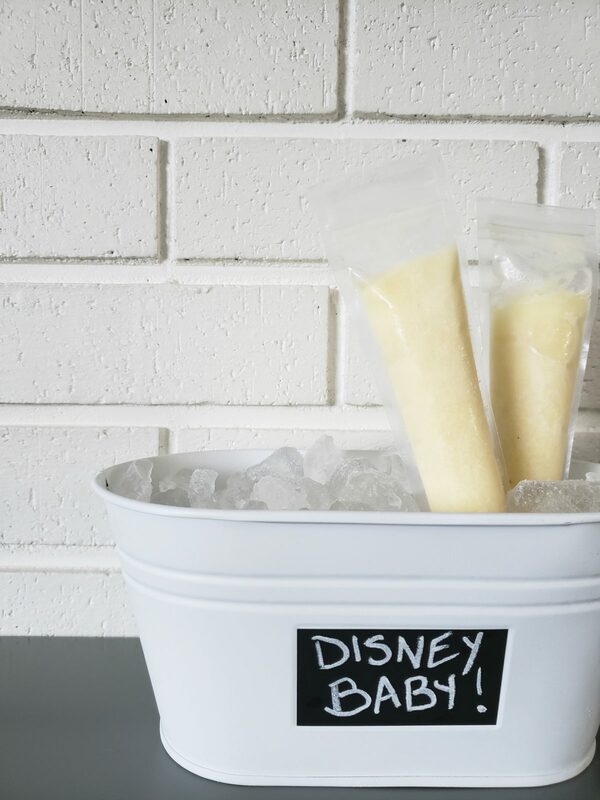 Pour into freezie bags or popsicle molds and freeze overnight. Now go! Go out and get the ingredients if you don’t already have them on hand and take a trip to the HAPPIEST PLACE ON EARTH… in your mind! That is until you get to visit Disney again, this should tie you over just fine. The reason this recipe came up was because of the EXCITING NEWS that we shared last week. Have you heard? 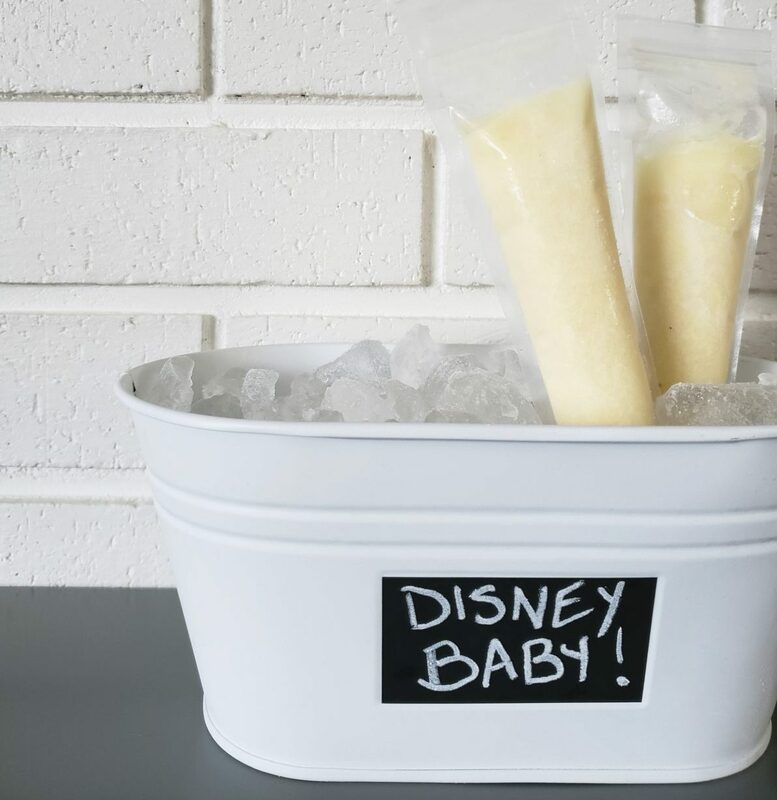 Never heard of dole whip popsicles before, but popsicles are fantastic for summer! Never heard of them before? Really? Goodness me you must try them! You’ve gotta’ try them out! You’ll LOVE them! Oh my goodness, I cant wait to make this!!! Havent been to Disneyland in 2 years, and although I’m the only fan of it in my family, I’m so excited to make it and take me back to all the magical Disney memories. Thank you!